It’s kind of depressing to think that it might work quite well formy project, and beat my snazzy visual search model. But then again, a lot of the statistical tools I’ve come accross are pants. Interesting article though. ps. For anybody I’ve not told already: my first paper has been accepted. Yay! That was a pretty busy weekend. Practise with the band Sat morning. Things are starting to fall into place, fingers crossed the recording date next month will go smoothly! Then in the afternoon, I had a little jam with Sylvain. It’s been ages since I’ve last played with him. I’d forgotten how much fun it is. Although it’s hard work keeping up with him, not much time to think. And it really drags me out of the comfort zone I’ve built for myself due to playing with Ali so much! I’ll have to brush up on my afrobeat chops and grooves. 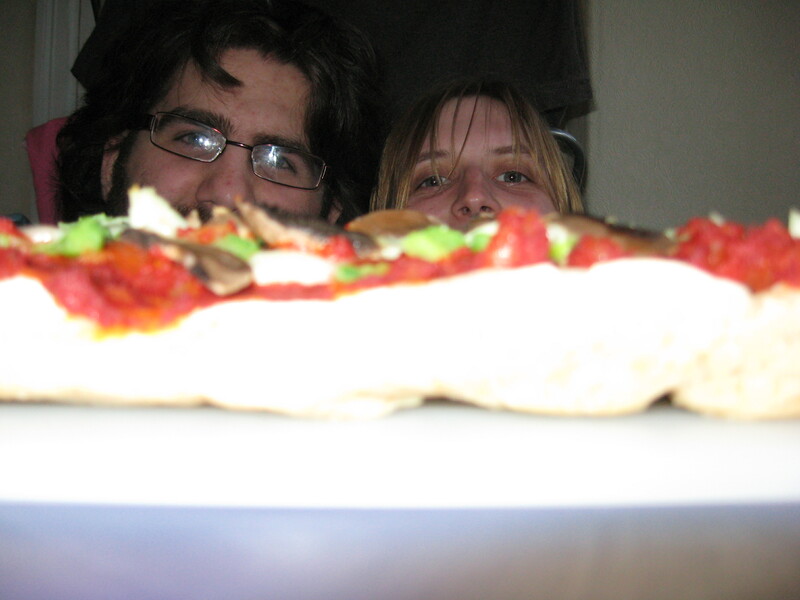 Just thought I’d share a photo of the monster pizza we made at the weekend. And thanks to my mum for supplying the (very elasticy) dough from her bread machine. 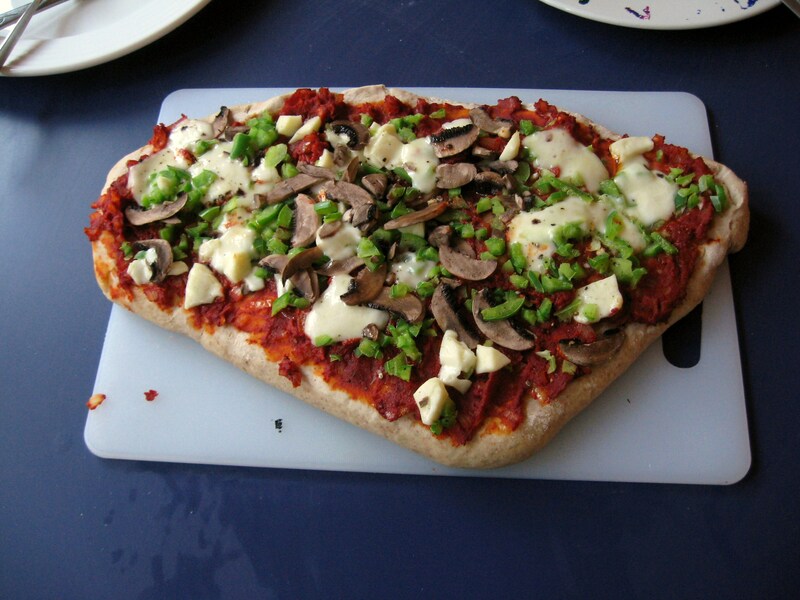 It took quite a while to make a half way sensibly shaped pizza base! Hello. Windy day for a cycle along the canal today. All good exercise I suppose. Anyway, there are some good gigs coming up. Next Saturday Eric Bibb is at the Queen’s Hall. An acoustic, folk, blues sorta guy from what I know. Paul Jones on BBC R2 plays him quite a bit. I don’t know much of his music, but what I’ve heard, I really like. Then next month, Pentangle are playing a reunion gig. 40 years from their famous concert in the Royal Albert Hall. It’ll be another welcome opportunity to see the wonderful Danny Thompson – joint first with Jaco for my favourite bassists. You are currently browsing the Riadsala's Blog blog archives for June, 2008.